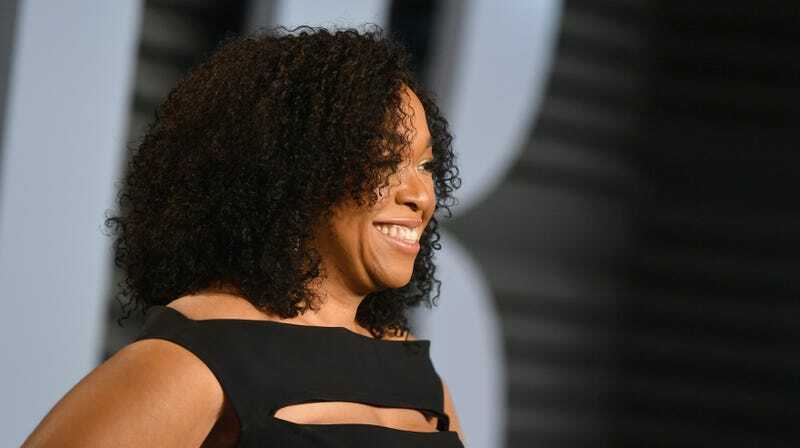 One year after Shonda Rhimes’ high-profile, huge-money departure from ABC in favor of her new streaming partners at Netflix, her high-volume content factory Shondaland has just debuted its initial slate of online-only shows. Rhimes and her team aren’t screwing around with their new streaming responsibilities, either; the studio announced that it’s got eight new series currently in development, from adaptations of non-fiction bestsellers, to political thrillers and dystopian comedies. There’s no certainty that all of them are actually going to make it to the Netflix libraries, but there’s also no denying that it’s a bold, ambitious opening gambit from one of 21st century TV’s biggest hitmakers. Per Variety, we’ve got a run-down of all of the shows, some we’ve heard of—like the still-untitled project based on Manhattan con artist Anna Delvey—and others which are brand new. Rhimes herself is creating that first one, about “Manhattan’s new best friend,” who isn’t all that she seems to be. Meanwhile, Scandal’s Chris Van Dusen will handle an adaptation of Julia Quinn’s period romance novels about the Bridgerton family, while award-winning playwright Anna Deavere Smith will helm a version of Isabel Wilkerson’s The Warmth Of Other Suns, a Pulitzer-awarded investigation of black migration to the North and West in America during the era of the Jim Crow South. Also adapted from a bestselling book: A TV version of Ellen Pao’s autobiography Reset, in which the former Reddit exec describes her struggles against the resolutely bro-y world of Silicon Valley tech guys, and The Residence, a non-fiction account of what it’s like to work in the residential wing of The White House under numerous presidents. There’s also Pico & Sepulveda, a period piece set in “surreal and sensual” 1840s California, Hot Chocolate Nutcracker, a documentary about the Debbie Allen Dance Academy’s re-staging of a classic ballet with an inclusive cast and styles of dance, and Sunshine Scouts, from Jill Alexander, about a group of teenage girls whose trip to sleepaway camp becomes a little too permanent after the apocalypse sets in. If nothing else, the slate makes it clear that Rhimes is still in solid control of her brand and her creative faculties; looking over the list, there’s nothing here that doesn’t feel like a Shondaland show, which will presumably be a relief to Netflix after it paid so much money for those rights.